VERDICT: Well…this is a hard review for me to write, because I did not totally love this book. I liked it, but I did not love it. It’s so much easier to write about a book that you loved. This book title had come across my email and blogs many times on various lists of books you “must read this summer,” so of course I added it to my stack! In fact, I was able to pick it up at one of my favorite bookstores, The Book Stall in Winnetka! You may have read all about it in my post called The Book Stall: A Place Not To Be Missed. And I’m glad I bought it and read it, and I do recommend it, but it will not keep you on the edge of your seat (like Pretty Baby did for me). I wonder if my timing for this book was bad?? I had just finished reading several books that were “edge of my seat” type books. Mysteries and thrillers. Then, I picked up Modern Lovers. It was a nice story about some friends who all went to college together and the trials and tribulations they experienced during that time and after as they all began to enter into adulthood (while still remaining close friends). It seemed so calm in comparison to some of the novels I had read over the last few months. While it was enjoyable, it certainly didn’t have me as captivated as some. However, about 1/2 way through the book, I found myself a bit more invested in the characters and their outcomes. I prefer to be sucked in right away, but that didn’t happen with this novel. It seems like it would make a good, entertaining, easy to watch Lifetime Movie. You know what I mean? I’d enjoy it, but I probably would not buy the DVD. 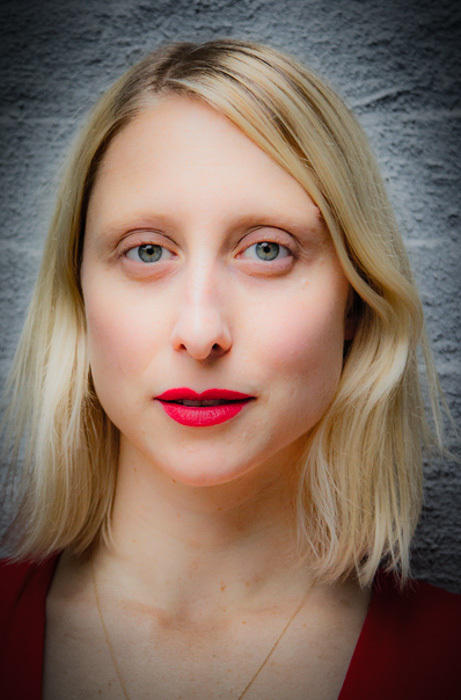 Emma Straub, author of The Vacationers and Modern Lovers. Emma Straub has written several books, but one I’m intrigued by after reading Modern Lovers is called The Vacationers, and it was a New York Times Bestseller. This book was originally published in 2014, and was a Best Book of the Month on Amazon in June of 2014. Might be worth taking a look at! On Emma Straub’s website, I learned that she is from New York City. She is the New York Times bestselling author of the novels Modern Lovers, The Vacationers and Laura Lamont’s Life in Pictures, and the short story collection Other People We Married. Her fiction and nonfiction have been published in Vogue, New York Magazine, Tin House, The New York Times, Good Housekeeping, and the The Paris Review Daily. She is a contributing writer to Rookie. Straub lives with her husband and two sons in Brooklyn. Pretty impressive, right? I had not heard of her until I started seeing (and reading about) Modern Lovers. But like I said above – after reading some reviews, I’m thinking I might give The Vacationers a shot. Sounds like a good, entertaining pool-side read. I love (and am intrigued by) the title Other People We Married, but I’ve never been one for short stories. I don’t know why… If you’ve read it, and recommend it, please let me know. And if you’re curious about her famous father, Peter Straub, you can read about him in the article from The New York Times called As A Straub, She Was Born To Be An Author. Peter Straub read voraciously from an early age, but his literary interests did not please his parents; his father hoped that he would grow up to be a professional athlete, while his mother wanted him to be a Lutheran minister. He attended Milwaukee Country Day School on a scholarship, and, during his time there, began writing. Peter earned a B.A. in English from the University of Wisconsin in 1965, and a Master’s from Columbia the following year. In 1969, he moved to Dublin, Ireland to work on a Ph.D, and it was here that he began writing professionally. NextTenzi…A Fast, Addictive Dice Game! Who Wants to Play?